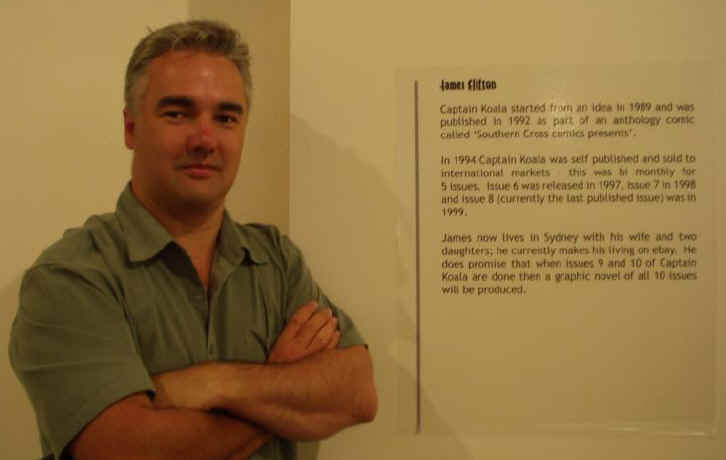 Captain Koala in an art gallery! It was AWESOME!! The place -> Townsville/Thuringowa, QLD, AUSTRALIA! 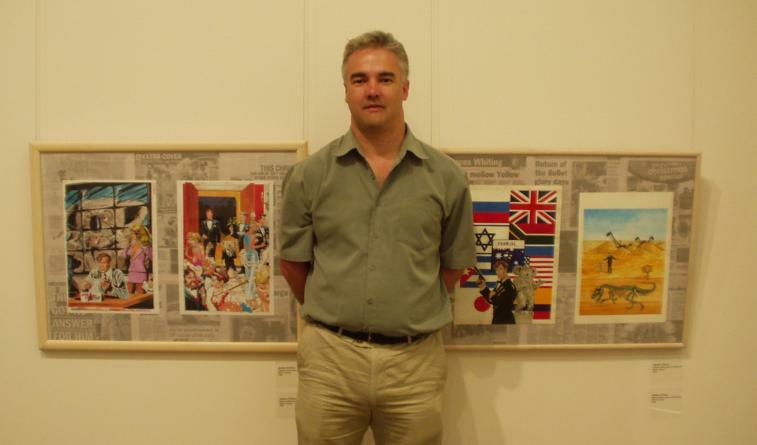 'Captain Koala' was involved in a gallery exhibition at Thuringowa. The exhibition included 4 comics and we had a wall each. The exhibition was fantastic and many thanks go out to all that made it possible! 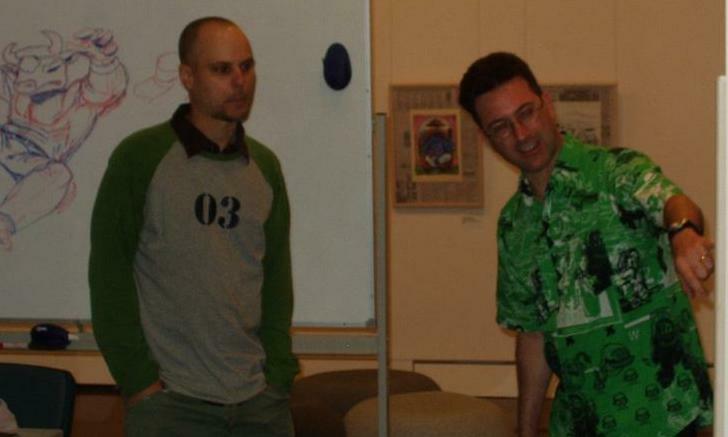 Also present was Jason 'Hairbutt the Hippo' Paulos (Left) and Tim 'Greener Pastures' McEwan (right). In this photo they are teaching a 'how to draw' course.